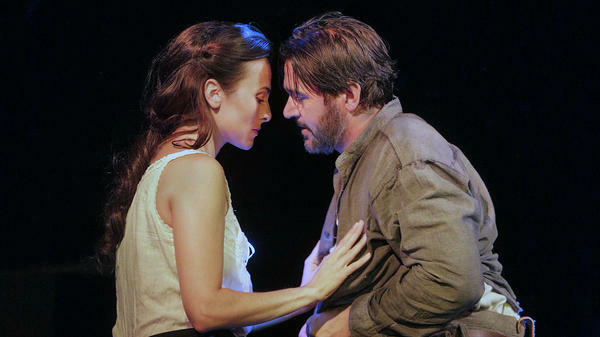 Isabel Leonard and Nathan Gunn star as Ada and Inman in the world premiere of Jennifer Higdon's Cold Mountain at the Santa Fe Opera. It's a story that could have been taken from a breaking news report: A soldier, gravely wounded in a brutal battle, flees the fighting to try and make his way home. Only this story is set during the Civil War. 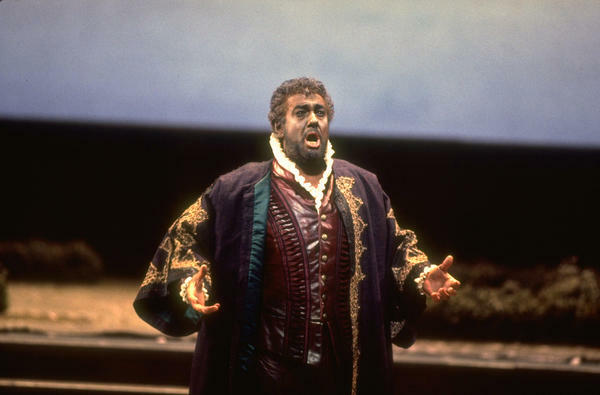 Tenor Placido Domingo performs the title role in a 1994 performance of Verdi's Otello at the Metropolitan Opera in New York. The Metropolitan Opera is poised to make a big change. 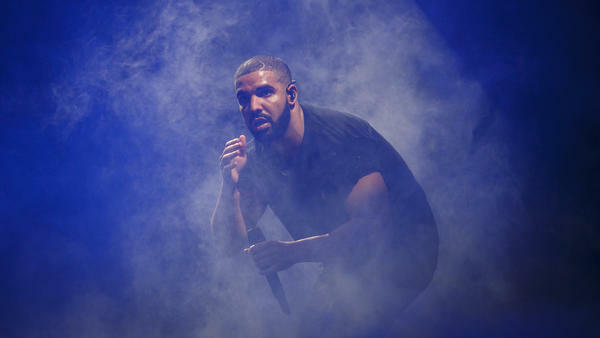 When the fall production of Verdi's Otello opens next month, its lead character will not be wearing the traditional blackface-style makeup. The Met tells NPR by email that its upcoming production of Otello will be the first without dark makeup since the company first produced the opera in 1891. 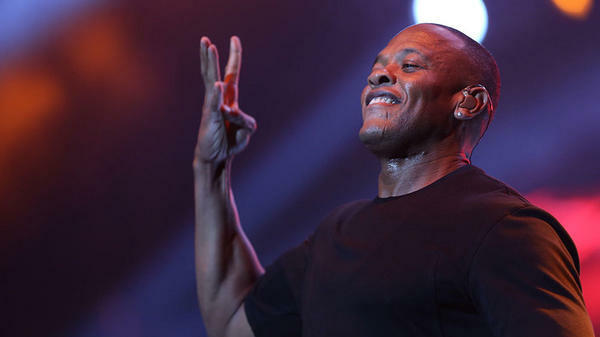 Dr. Dre releases his first album in 16 years, Compton, on August 7. "They want to know if he's still got it..."
William Schimmel distills Mahler's lengthy Ninth Symphony down to under seven minutes. When Gustav Mahler said a symphony "must be like the world. It must embrace everything," I suppose he meant embracing accordions, too. Gustav Mahler's sprawling Ninth Symphony is a 90-minute journey brimming with the joys of life, haunted by death and with a lot happening along the way. 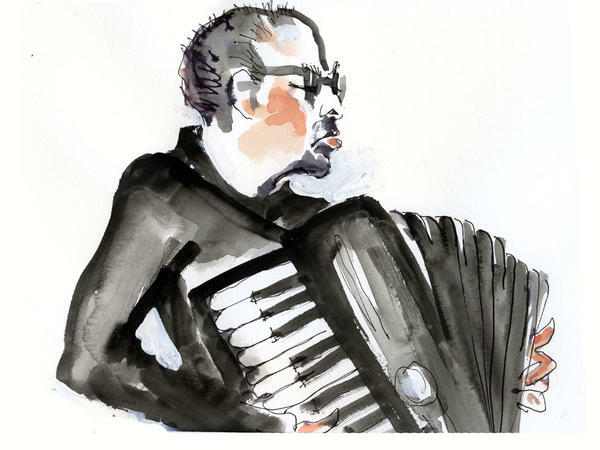 Accordionist William Schimmel has squeezed this immense musical canvas down to just 6 1/2 minutes. That takes some guts. Pavement's new release, The Secret History, Vol. 1, comes out August 11. Pavement's minor MTV hit, "Cut Your Hair," came out in 1994, and the song's offbeat, ramshackle charm introduced the cult indie band to a broader audience. It also marked the end of an era. Pavement had been releasing records for five years at that point, most of them shaggier and noisier than the weirdly winning "Hair." Yet despite the absurdity and abrasiveness at its heart, the band had been swept into the alt-rock mania of the mid-'90s. The Secret History, Vol.